I am pleased to announce that I have been awarded the National Sculpture Society's Dexter Jones Award. This is my second year winning the award, and I am deeply grateful to the National Sculpture society for their generosity and support. The Dexter Jones Award is an unrestricted prize of $5,000, which is presented annually to an emerging sculptor for an outstanding work of sculpture in bas-relief. The award is given in memory of the late Dexter Jones (1926-1986), a Fellow of the National Sculpture Society. 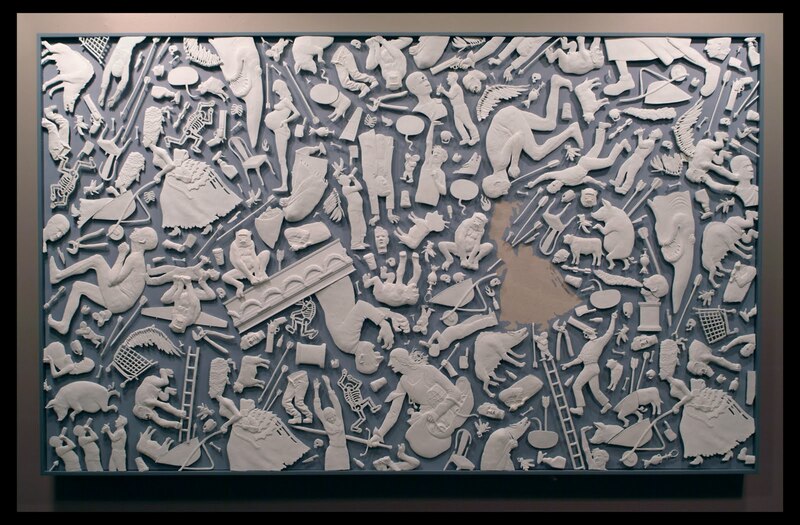 In addition to being an accomplished sculptor of portraits and works in the round, Jones created several outstanding bas-reliefs in his lifetime. Also, I am pleased to note that "You Wish" was recently purchased by a private collector from the Beyond Rodin show at the Rye Art Center. I am grateful here for the hard work of both Bob Clyatt (for putting the show together) and Helen Gates (for negotiating the sale). It is unfortunate that emotional value has no corresponding purchasing power, because making money from your art feels like a million bucks.